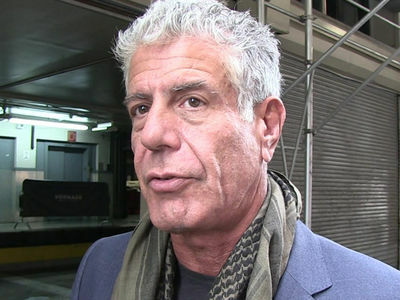 Anthony Bourdain revealed he suffered from depression during a 2016 episode of 'Parts Unknown' -- in which he said something as simple as a bad burger could send him into a downward spiral. Bourdain addressed the issue while visiting Argentina -- a country that fascinated him because it embraced psychoanalysis and mental health treatment. The episode featured several scenes of Bourdain speaking with his therapist and addressing real issues in his life. And, even though it seems like a joke at first, it becomes clear he's not kidding around. When asked what brought him into the office, Bourdain says ... "I will find myself in an airport, for instance, and I'll order an airport hamburger. It's an insignificant thing, it's a small thing, it's a hamburger, but it's not a good one. Suddenly I look at the hamburger and I find myself in a spiral of depression that can last for days." "I feel kind of like a freak and I feel very isolated. I communicate for a living but I'm terrible at communicating with people I care about." "There's the evil cheeseburger that sets me off. Suddenly I'm super depressed for days. It's like that with the good stuff too. I have a couple of happy minutes there where I'm thinking, life is pretty good."